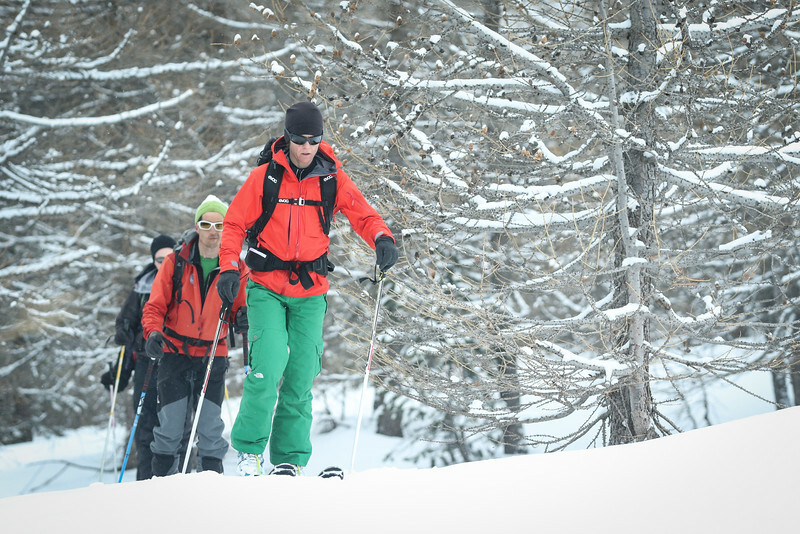 March 13, 2015 - We're up for 4 days of ski trekking around Mont Thabor, in the French Alps. 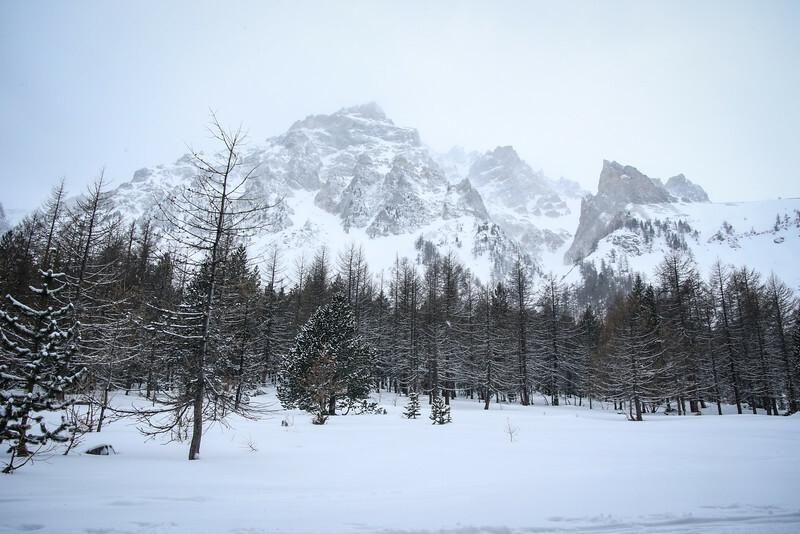 The area stretches from the South of Modane and the Maurienne Valley, down to Nevache and the Italian border. 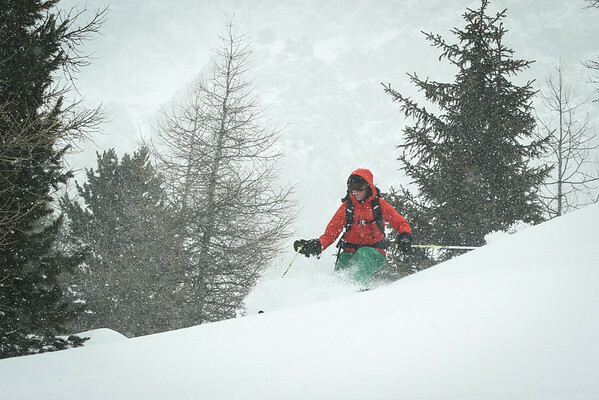 Our certified guide Bertrand Gentou prepared the trip and made the necessary bookings with the mountain cabins. 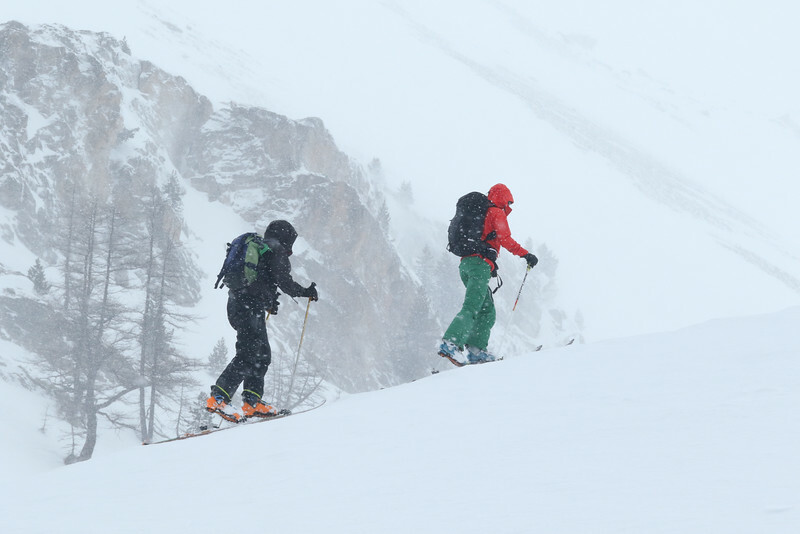 Two other mountain lovers, Maximilien and Antoine, joined Min and myself for the trip. Max once climbed the Matterhorn, and Antoine stood up on the Kilimandjaro. We start the climb at the top of the Valfréjus resort. The snow season has been poor this year. 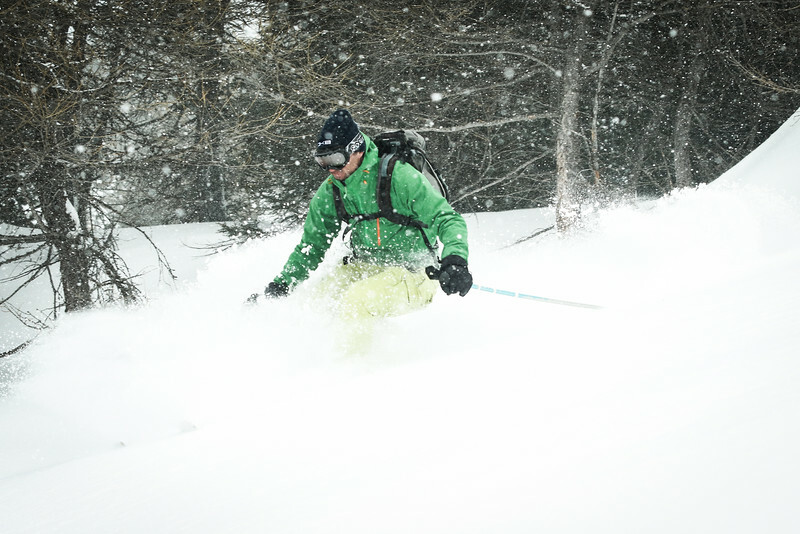 The snow is hard, but it makes the progression easy. The sky is pretty clear, but it's covering quickly. A depression from the East is expected to hit us soon. 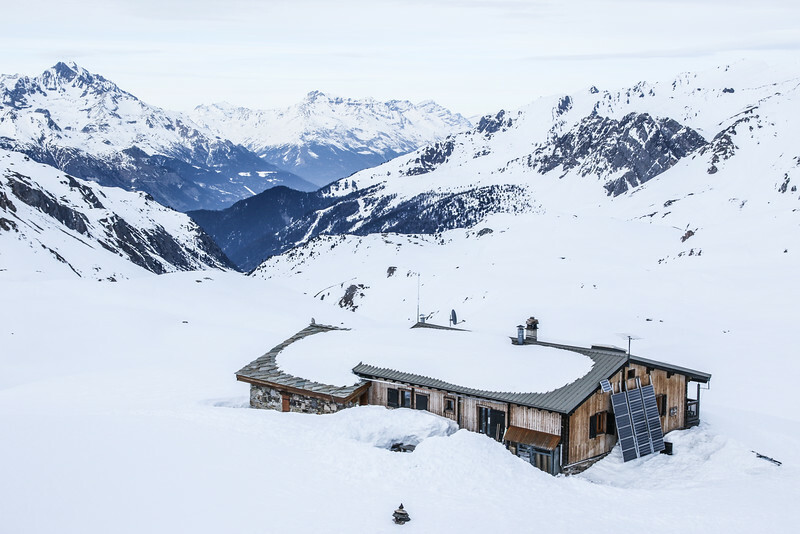 However the view remains good until we reach the beautiful Mont Thabor cabin at 2500 m.
On this second day, the storm has hit us. We barely further than 15-20 meters ahead of us. The sky and the mountain seem to seamlessly join each other. GPS and map are crucials to find our way to the top. 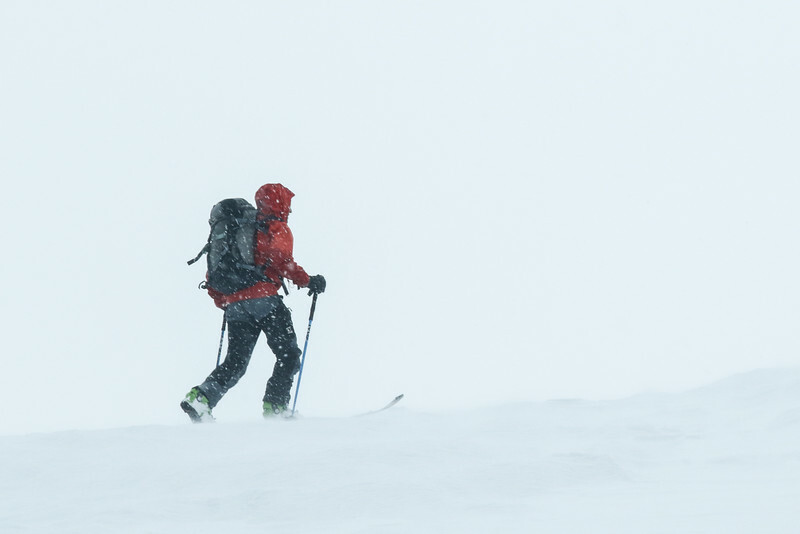 The complete lack of sight and the high winds make ascent of Mont Thabor (3178 m) look like an endless walk. Luckily, a small chapel standing 100 m below the summit allows us to get some rest and food before the descent to Bardonecchia. 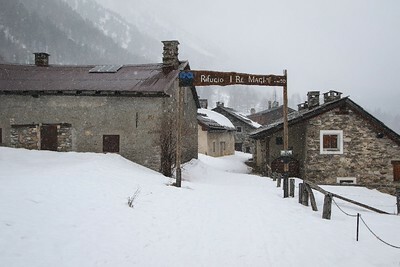 In Bardonecchia, we find a pleasing cabin, with... of course, great Italian food... and warm water. Day 3. 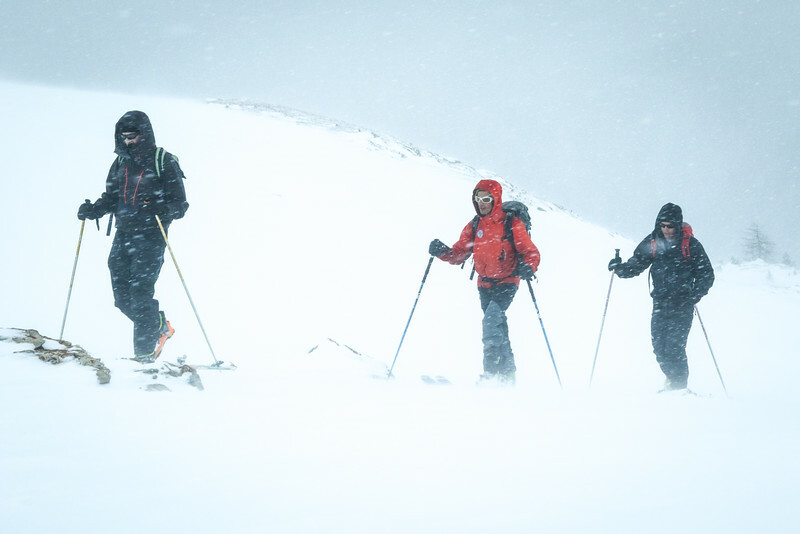 The weather has not improved much at 3000 m. However this morning, the visibility is good at 1800m. 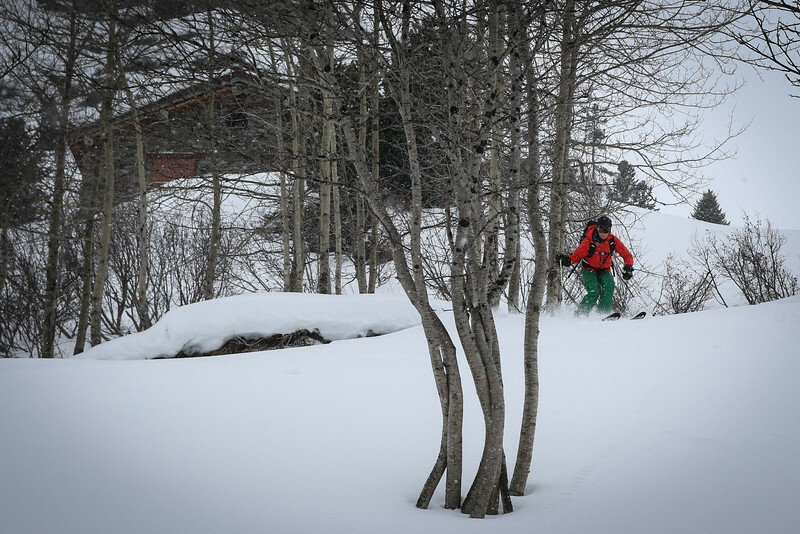 We decide to add a 700m ascent through the forest and enjoy a nice freeride on the way down to the cabin. 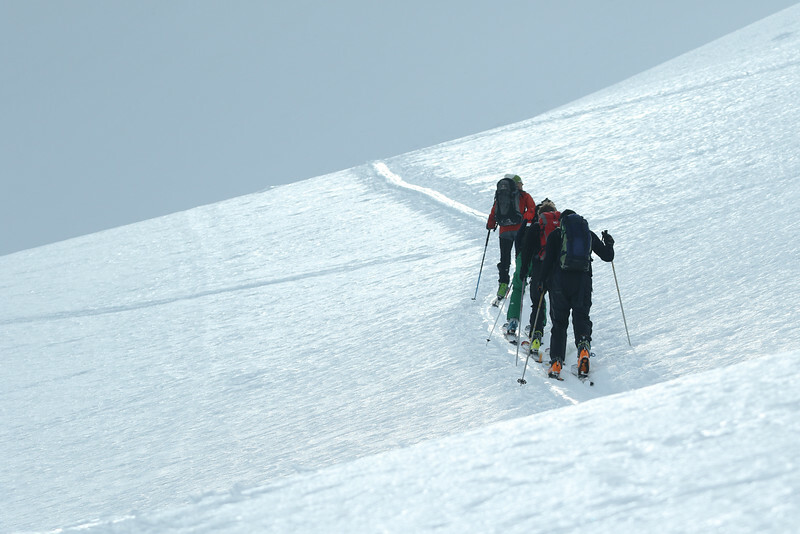 In the afternoon, we start the second ascent to the Thabor cabin. It's snowing, it's blowing. Again today, Bertrand showcases his orientation skills. It's white outside, only white. 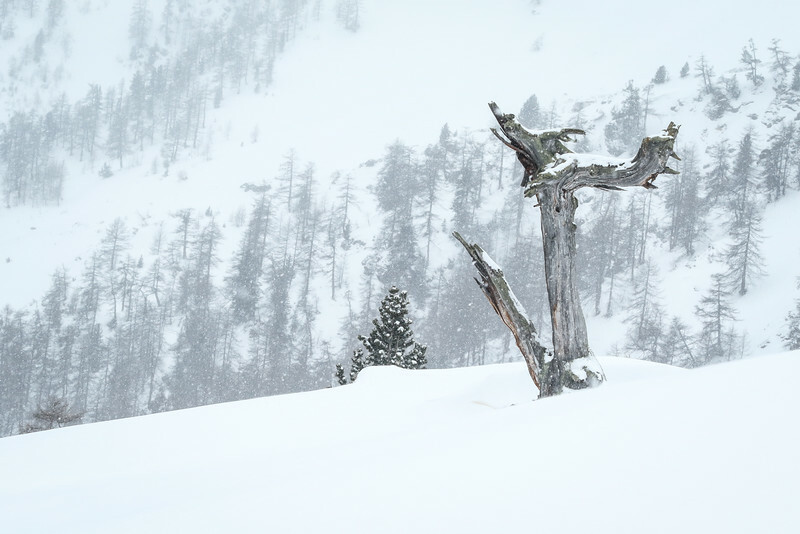 The risk of avalanche is at its highest: fresh snow, high winds. 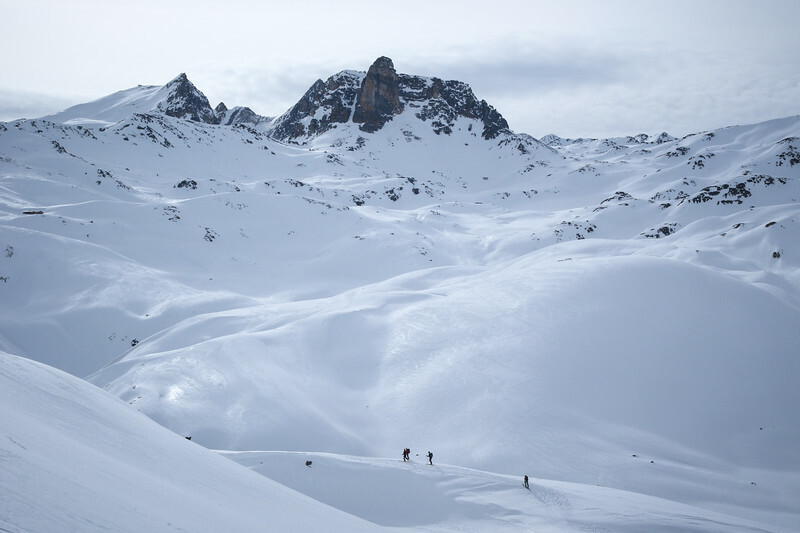 On the way down to Valfréjus, we hear many explosives launched by the "pisteurs" to secure the resort.Our progression is slow with the low visibility. 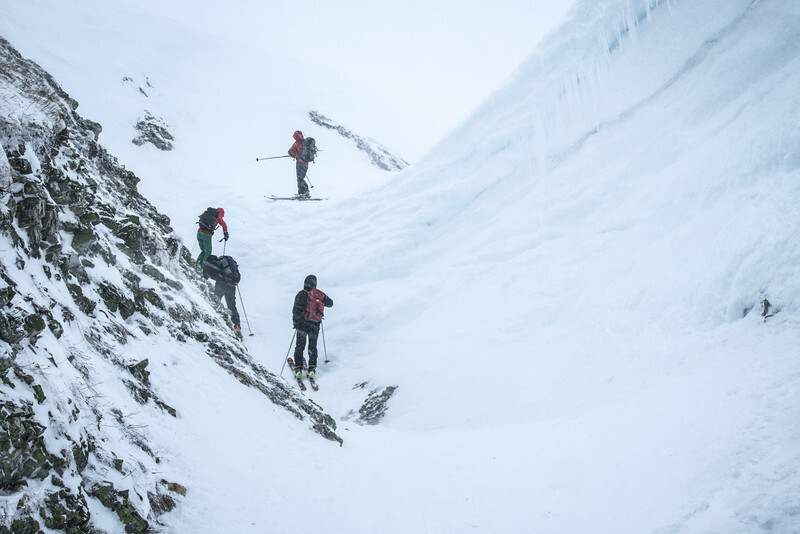 The last thing we'd want is to be face a point of no-return on a 30° slope. This is the worst case scenario for avalanches. After 30 minutes, we reach the skiing resort. 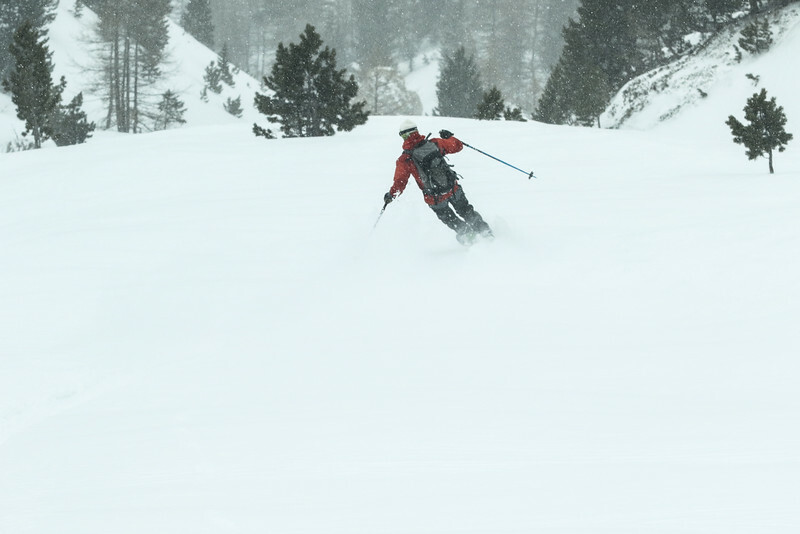 But skiing on the piste is not an option ;-)). 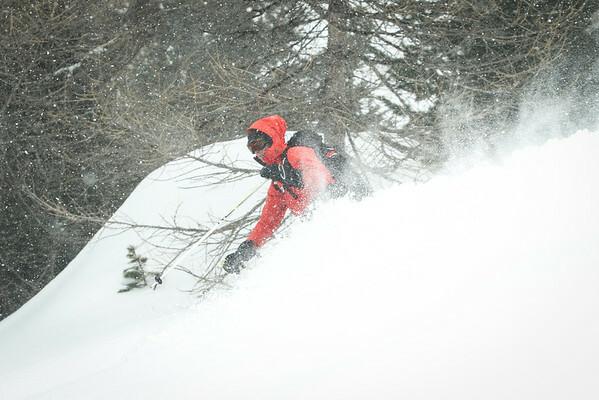 Time for freeride. Yeaaah ! !